This past April 18 was the date for Record Store Day 2015. As is typical of the single day occasion, crowds lined up outside of independent music retailers even earlier in the morning, coffee was consumed in abundance and the ratio of potential buyers to limited press records grew larger than years prior. What’s a retailer or a fan to do about it though? The special factor of Record Store Day and the time needed to go into planning proper promotion, as well as the time needed for artists to put together their limited offerings, is what makes the affair the once-annual event it is –not to mention, the idea was originally to help boost indie retailers in sales because of the continued struggle to move music in physical mediums. Still, the thought of spreading the releases out and carrying the principle philosophy of Record Store Day into more days of the year might alleviate some of the practical pressures of the sales and it certainly wouldn’t turn off someone’s love of any specific band’s music simply because a special release is shelved on a day in March rather than the third Saturday in April. All of these ideas in mind, it seems the American Association of Independent Music has contemplated the pros and cons too, coming to the conclusion that disseminating the spirit of Record Store Day over the whole year is the right thing to do. What makes this decision so interesting is the way in which the association intends to go about doing so. Get ready to say hello to a new hashtag: #NewVinylTuesdays. 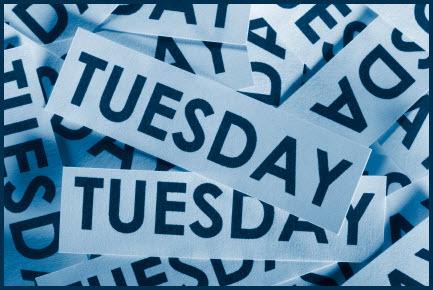 A formal announcement made by the association earlier this week outlines the move for indie music retailers to take part in what will be dubbed, “Vinyl Tuesdays.” What makes this strategy of sale so great are the facts that catering specifically to vinyl allows the exclusivity factor to remain, while also filling in the soon-to-be-lost void that is currently “New Music Tuesday.” (The discussion over New Music Tuesday has been a hot button topic since last year.) The new weekly offering is managed by the Department of Record Stores and Record Store Day. The first type will be catalog releases. These can be special edition releases made especially for Vinyl Tuesday or simply catalog vinyl releases that come out on Tuesday. The second type will be commercial and promotional vinyl releases that come out on Tuesday. The third type is the most rare. This is where the artist releases their new album on vinyl (on Tuesday) before the album goes out on CD/digitally to everyone. The fourth type will be vinyl releases made specifically for the Record Store Day indie retail community. The fifth type will be albums that have already been released on CD/digitally and are now being released on vinyl. Similar to Record Store Day, even though the event originated in the US, this evolution to “Vinyl Tuesdays” will be one that extends to the music community worldwide and not just for retailers in the US. Where technical sales data is concerned, particularly because overall music releases are moving to Friday, the powers that be with the association and behind this initiative have already tackled the numbers. Vinyl Tuesdays will get along just fine with releases that will eventually happen at the end of the week. As far as happy compromises go, “Vinyl Tuesdays,” at least in its present conceptual stage, feels like the best of an, “everyone wins” situation. The actual day of Record Store Day might be relieved of some pressure that has been bringing it to start bursting at the seams, after the global street date change, those waist deep in the music industry and passionate about music consumption will still have something to be excited about on Tuesdays, vinyl will have a designated way to be further highlighted as a unique medium worth physical purchase, and, the new global street date of Friday will be able to carry on without having a complicated breakdown in sales data. Plus, what music fan would not want more days of the week throughout the year for new, occasionally unexpected music to be made available for listening and collecting?